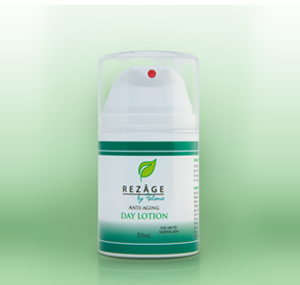 Start your day off right with our Day Lotion, specially formulated for dry to normal skin! Our day lotion leaves no oily residue, and is a great base for any makeup application. It is incredibly moisturizing and has an SPF of 16 that will keep your skin safe from the sun all day long, without any clogging. Beta Glucan helps protect aging skin from immune dysfunction, and aids in overall dermatological health and wound healing. Several studies have shown that the use of a beta glucan cream can help hydrate the skin, improve firmness, skin color, and elasticity; while also helping to diminish lines and wrinkles. Bisabolol: Bisabolol has great anti-irritant and anti-inflammatory properties, which makes it a natural ingredient to use in skincare products. It also contains anti-bacterial as well as anti-fungal properties.